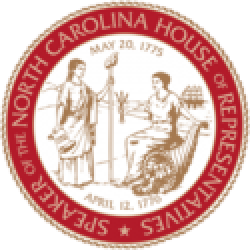 Raleigh, N.C. – State Representatives Holly Grange (R-New Hanover) and Destin Hall (R-Caldwell) will be appointed co-chairs of the North Carolina House Committee on Elections and Ethics Law by Speaker Tim Moore (R-Cleveland). 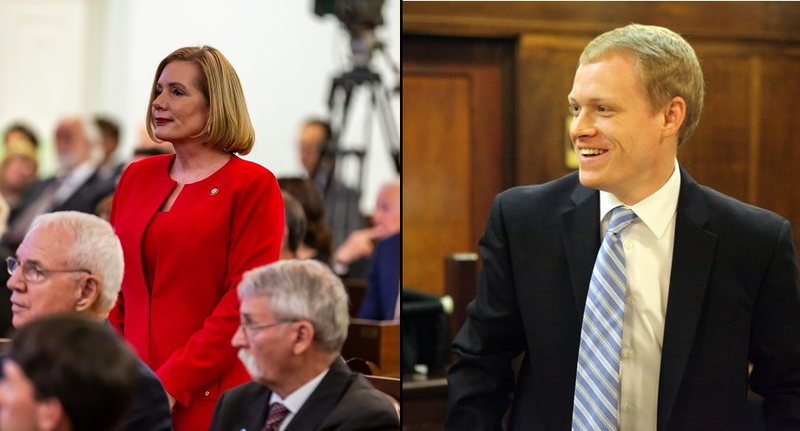 “These two House members have a strong legal background and will be an integral part of how we restore confidence in our elections systems in North Carolina,” state House Speaker Tim Moore said of the appointments. Rep. Holly Grange is an Army veteran who graduated from West Point and serves areas along the Southeastern coast of North Carolina including Wilmington, N.C. She said the House Elections Committee will conduct oversight hearings on concerns over absentee ballot laws and practices. “We saw this election cycle and in previous years that there are unacceptable gaps in the integrity and reliability of our elections systems,” Rep. Grange said. Rep. Destin Hall is a general practice attorney in Lenoir, N.C. who attended Appalachian State University and the Wake Forest University School of Law. News outlets reported that the Mecklenburg elections board never reported ballots with mismatching dates, which voters said were a mistake. Other evidence showed a voter who moved to New York five years ago but successfully requested, received, and cast an absentee ballot in 2018. “Just as the U.S. House is responsible for oversight investigations into elections to their body, so too is the state House responsible for conducting a thorough review and recommendations for the election legitimacy of its own members,” Hall said. The General assembly directed the State Board of Elections to produce a report on absentee ballot irregularities in House Bill 1029 Bipartisan State Board Changes. The state legislature also added safeguards to absentee ballots in an amendment proposed by Rep. Elmer Floyd (D-Cumberland) to bipartisan voter ID legislation Senate Bill 824 Implementation of Voter ID/Const. Amendment in 2018. 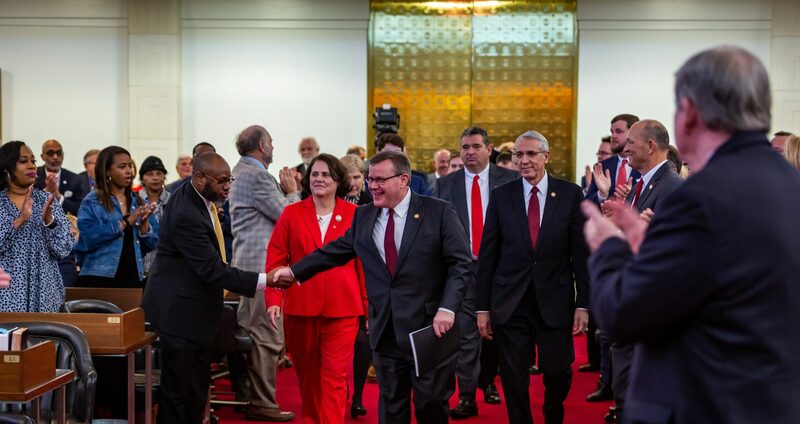 The new co-chairs replace longtime House Elections Committee chairman David Lewis (R-Harnett), who has been reappointed chairman of the House Committee on Rules, Calendar, and Operations of the House. “I am excited to pass this responsibility to these two capable and energetic members,” Chairman Lewis said.